Link Building is still at the core of SEO. Higher the number of backlinks a website has, higher will be its authority and rankings on SERPs. It has been proven time and time again. While many SEOs are aware of this fact, not many care about the fact that it has to be done in the most natural way possible with strict quality control. If you care about building a backlink profile for your company that Google will love, this post is just for you! But there are many ways to build backlinks for your business. You could approach other websites, industry influencers and biggies with your content and ask them personally to feature your content on their website for a backlink or you could create remarkable content that people and publishers would love to link to without asking. In their pursuit of getting as many backlinks to their website as possible, most SEOs tend to derail from their website niche and start acquiring backlinks from wherever they can, without looking twice at the website they are getting a link from. Getting a backlink from a high quality but irrelevant website is equal to acquiring a low-quality link. For example, If you sell premium hair care products, getting a high-quality backlink from a publisher in the IT industry will do you no good. But if you get a backlink from an authoritative blogger that has a decent reader base and actively blogs about the best hair care services and products in town, it could prove to be pure gold for the authority of your website. Try staying as close to your industry niche as possible when it comes to acquiring backlinks from other authoritative websites and watch your Google position rise up. Automatic link building in any way is bad for your website. But still many SEOs every year make use of ‘automatic natural link building’ tools found on the web. While many of these tools may give you an initial push in your rankings by publishing your website link on link farms and low authority web 2.0 sites, Google, sooner or later, catches up to them and may even penalize it for indulging in such practices. The essence of link building is in providing relevant content to websites related to your industry and automatic submission kind of kills it completely because you never get to know on which website your links are being posted on. A big no-no when it comes to natural link building. Think about it for a minute. Obviously, no publisher who is looking to provide the best information to their readers would want to link to a services page, unless it’s a paid promotion of course. But if you are still putting links of your website’s homepage in all your guest posts with no informative blog of yours to accompany it, it will turn off readers, and eventually Google. You could try internal linking for building the authority of your homepage but when it comes to guest posting, try only linking your blogs in it, that too if they are super relevant to the topic you are writing for. In the fast-paced world of SEO, it is normal for SEOs to spy on the backlink profiles of their competitors and completely copy them to their last link. While doing this is a great SEO strategy to surpass them in SERPs, do it without your personal touch and you’ll never be able to outrank them. It’s totally fine to copy your competitors backlink profiles, but do your own market research as well with it and try digging out opportunities that your competitors don’t have the slightest idea about. You’ll obviously have to do a little extra to gain that edge in website rankings over your competition. Working on the way you outreach your content to authoritative publishers can sometimes make all the difference but sadly not many SEOs stress over it too much. Using the same outreach template for each and every outreach request can get your awesome content rejected without them having a look at it and most of the authoritative publishers can smell a template from a mile away. Try adding your own personal touch to all your outreach requests. Be as personal as you can and write clearly how your content piece can help their readership and why are you approaching them in the first place. Doing this makes them interested in your mail and your chances of getting published increases by folds. Google keeps a close check on the number of backlinks a website acquires over time. Do it too fast and they might even penalize you for good. Usually, if a website acquires too many links in a day or two, it’s because the webmasters are using a tool that is automatically doing it for them or they are posting their links on link-farms, which are both red flags for Google. When done naturally, you would be able to gain 10-20 backlinks for your website at max and that includes commenting on various blogs in your niche, posting on social media, posting on social bookmarking websites, syndicating your blog to a high-authority publisher and all the other things SEOs do to acquire links. See it from the eyes of Google. If a website is getting 1000 backlinks a day, doesn’t it reek of something fishy? Sounds spammy even when I say it, let alone doing it and getting away from the clutches of Google. Most of the SEOs build links and completely forget about it. 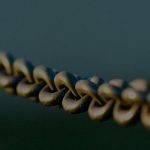 But the task of building an authoritative backlink profile for your business doesn’t end when you acquire a link, it also includes making sure that the link stays active as long as possible. It’s common for websites to delete certain blogs after a certain point of time, making sure that a proper redirection link is placed on all your backlinks if something like that happens to your publisher’s website is as important as acquiring that link. Also, the domain authority of websites keeps fluctuating from time to time, so going through your backlink profile and making sure that your link stays authoritative and contributes positively to it is what SEO’s need to focus more on when it comes to staying on top of their game and gaining some valuable places on the SERPs. 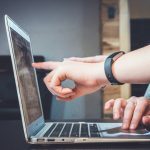 While there are a ton of bad link-building tactics being put to use by SEOs every day out there, these 7 are the most prevalent in the SEO world of today. Stay away from the above-mentioned pitfalls and you’ll do just fine. If there are any other link-building tactics you think hurts your SEO more than it does good, do share it with us in the comments.